There’s no sense in lying about it: I am a freak for leather goods by Colsen Keane. Handmade, unique, durable and beautiful, I’ve yet to find anything that rivals them. 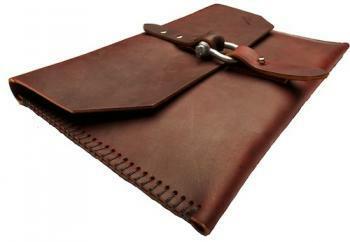 So far, Scott at Colsen Keane has put together a sheath for my iPad and one for my MacBook Air as well. Next on the agenda: A satchel. For a bit of insight into why I dig their products so much, check out my review of Colsen Keane’s iPad sheath over at TabTimes.